This 610-word post was written by Dan B., one of Verblio’s most prolific writers at 1,737 posts sold, and who specializes in the construction, technology, sustainability, manufacturing, and DIY industries. 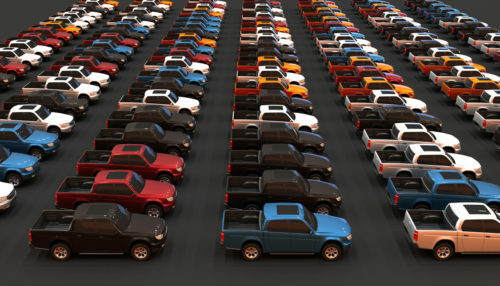 He wrote this piece about the top used trucks of the last decade as a review to help readers make smarter technical buying decisions surrounding one of the most expensive purchases—a car. Ford and GM have been locked in a battle for pickup supremacy for a very long time, with the Ford F-150 holding on to the #1 sales spot and the Chevrolet Silverado a strong second. According to U.S. News, newer pre-owned F-150s lead in price and towing, while the Silverado has the edge in reliability. U.S. sales of the F-150 topped 896,000 units in 2017, a year-over-year increase of almost 10 percent. In the latest U.S. News ranking of the top 25 used trucks under $25,000, Ford (F-150), GM (Sierra, Silverado and EXT) and Ram dominate. However, Toyota does place two Tundras on the list. The $25,000+ category is loaded with later model year versions of these same popular pickups, although Nissan’s Titan does make an appearance at #14. Believe it or not, Ford introduced the 13th generation of F-150s in 2015. Ford has been an innovator in producing smaller, fuel-efficient, yet powerful engines, like the 3.5L EcoBoost V6 found in newer pre-owned F-150s. Of real interest to consumers is that U.S. News also ranks the most reliable used pickups, and the GMC Sierra 1500 is the leader among traditional half-ton pickups. Keep in mind that the Chevy Silverado is the mechanically identical twin to the slightly more upscale Sierra. In 2014, GM introduced the third-generation Silverado/Sierra. The 5.3L Ecotec V8 is the most common engine, and the big 6.2L EcoTec V8 is an option for those that need even more power and torque. If you’re looking for a heavy-duty pickup for work or some serious towing, the Chevy Silverado and GMC Sierra are among the best vehicles in their class. Don’t be shy about taking a close look at the Chevy Silverado and GMC Sierra 2500HD series pickups. Properly maintained, the 6.6L Duramax, coupled with the Allison transmission can perform well for hundreds of thousands of miles. Of course, Ford didn’t build its reputation for dynamic pickup trucks without also delivering solid diesel options in its Super Duty line of F-250s and F-350s. Beginning in 2011, Ford offered the 6.7L Powerstroke Turbo Diesel, a real workhouse delivering 800+ lb-ft of torque. For less torque-intensive applications, Ford’s Super Duty gasoline engines are also very reliable. Heavy-duty Ram pickups with their Cummins diesel engines certainly have a strong following as well. The 6.7L High-Output Turbo Diesel delivers an eye-popping 900 lb-ft of torque, and the Ram 3500 can tow more than 31,000 pounds. For fans of gasoline engines, the 6.4L HEMI is a best-in-class engine. The increasing power and towing capabilities of later model compact pickups make them an increasingly interesting option for the right buyers. This is a category that Nissan, Toyota and Honda have focused on for some time now. Not surprisingly, you’ll find the Nissan Frontier, Toyota Tacoma and Honda Ridgeline dominating the top ten spots on the U.S. News ranking of the top compact pickups under $20,000. However, the Dodge Dakota does make the list as well, tied for #8. In the $20,000+ category, the GMC Canyon and Chevy Colorado make a strong showing, and you’ll often find excellent pre-owned versions priced well below the $20k mark. The [insert name of auto sales shop] is your source for some of the best pre-owned trucks. We also offer an excellent selection of certified pre-owned (CPO) trucks with extended warranties. Visit us today, or call us to schedule a test drive. You’ll receive prompt, professional and friendly assistance from start to finish!